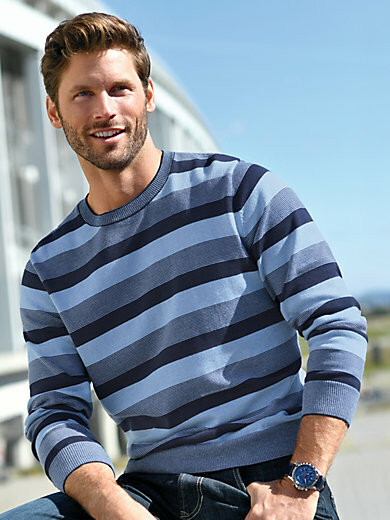 Round neck pullover by LOUIS SAYN: the multicoloured stripes mean it goes with countless different sporty outfits! Soft feel and intense colours are the hallmarks of this unique, skin-friendly material made from extra-long staple SUPIMA® cotton. 100% cotton. The round neck pullover is machine washable.